A few days ago I mounted one of my test camera’s in my backyard to test some new TimeLapse stuff and truth be told, my cable routing leaved something to be desired, but I thought it would be okay for a while until I had time to do it better. So let that be a lesson to you all. 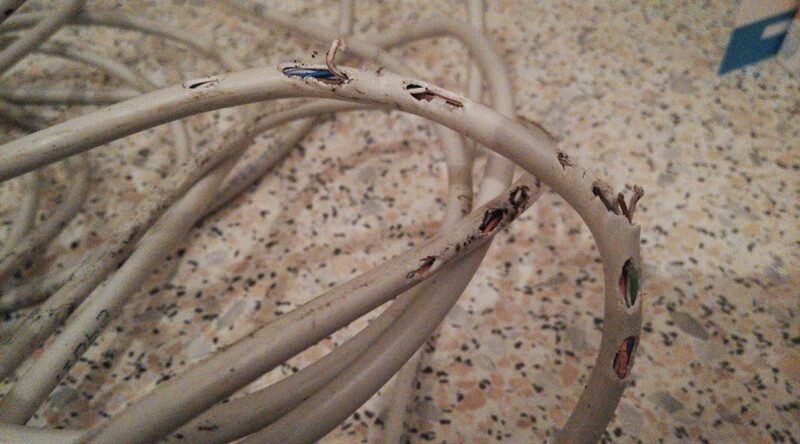 Your bunnies will eat your UTP cable if they can even reach a little bit of it. They want it, they like it and they will destroy it. They are looking very innocent there, nomming away on cameras cable! 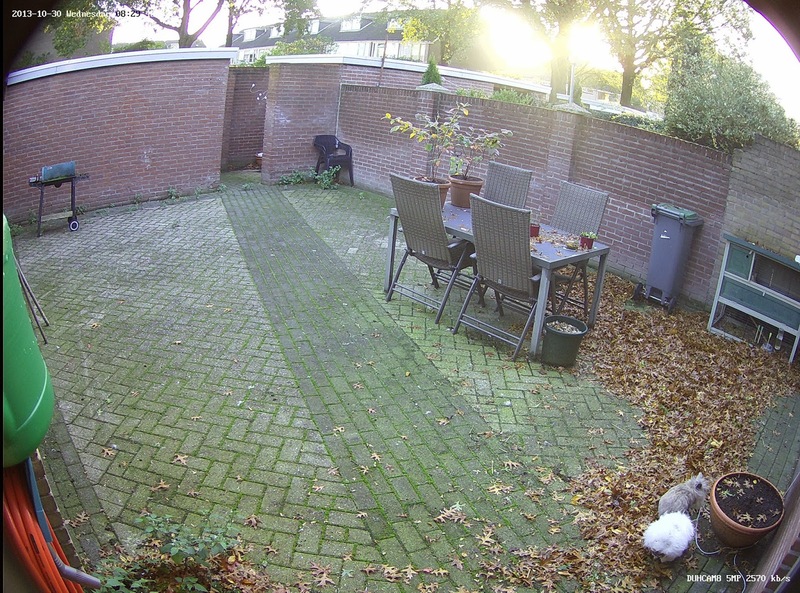 Bunnies somehow don't get affected by even power cables (220V).. I know from experience, since we had a bunny in the house as pet. 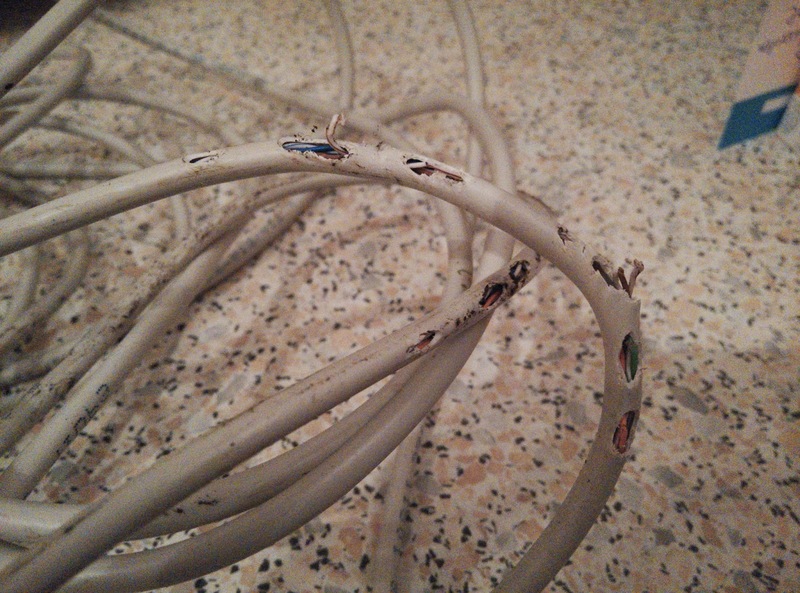 She ate both my utp and power cables.